Keystone Compliance is a drop test lab capable of testing products to the drop testing requirements of various test standards including the random drop test in MIL-STD 202. Our drop test machine is capable of precise drops from different heights at different angles and onto different surfaces. Our three shakers can simulate loose cargo test conditions that might be experienced as a product is in transit. Drop testing, per MIL-STD 202 Method 203, is used to determine the effects on component parts of random drops tested and repeated impact due to handling, shipping, and other field service conditions. This drop testing is an accelerated test designed to indicate structural and mechanical weaknesses of types not necessarily detected in shock and vibration tests. 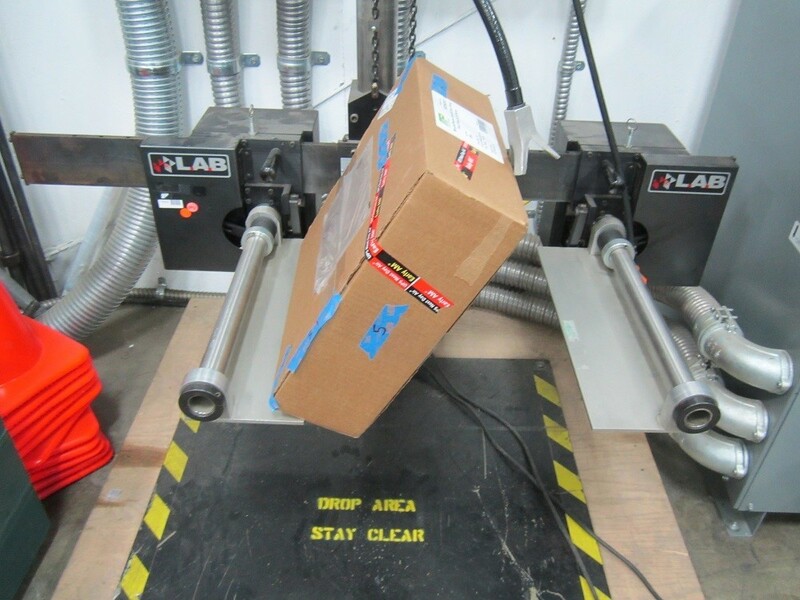 Package drop testing can help determine the survivability of a product’s packaging and help manufacturers identify potential warranty issues from poor packaging or improper handling instructions. Keystone Compliance has extensive package drop test and random drop test experience. Please contact us for more information on how we can assist you with your drop test needs.